Hello! 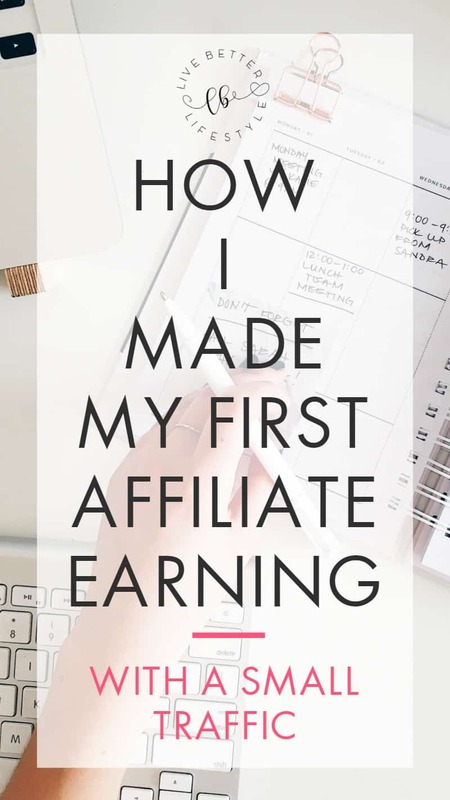 I am so excited to share you about How I Made My First Affiliate Earning With Small Traffic! For you, either you’re a newbie or seasoned bloggers! Be prepared to get inspired! I’ve dreamed to earn a certain income from my blog. I have taken a course that I know will help me. 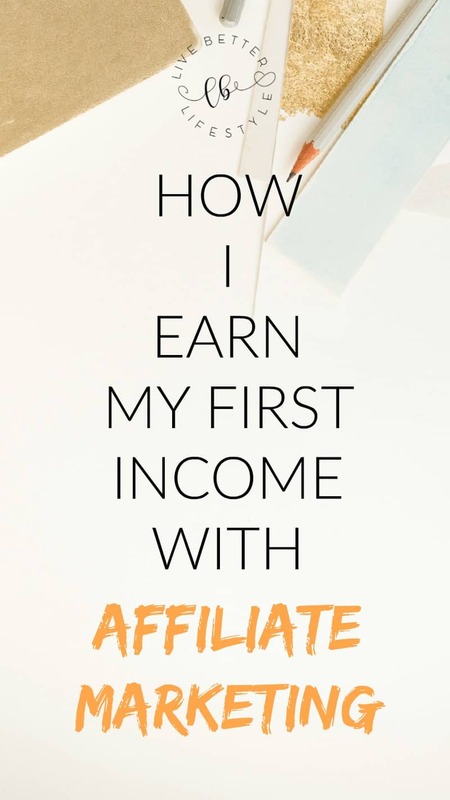 I learned so many ways through my research and finally, I know what strategies that help me to earn my first affiliate earnings. I started this blog so that I can share ideas with the world but also would be good to earn income out of this blog. Because I want to have a job that would allow me to get the lifestyle I want. Some people have the same mind as me that they started a blog as a way to express themselves but eventually, turned to make money from their blog. 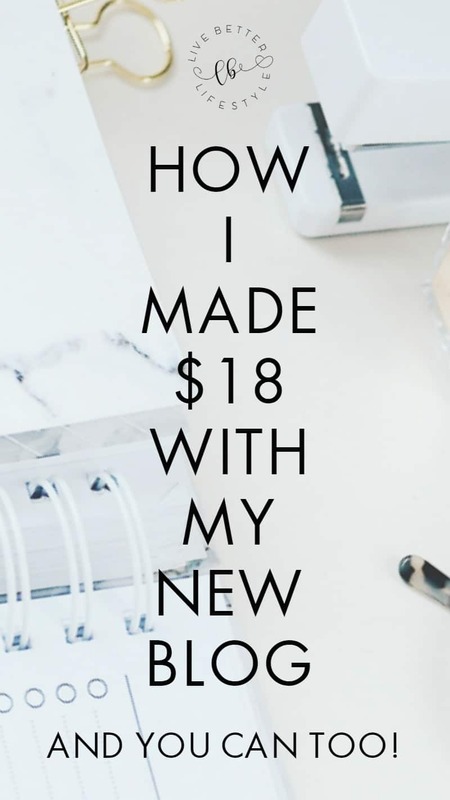 As a newbie bloggers, there are so many ways to earn money from your blog. You can read my post about How to Make Money Blogging for Beginners to know more about that. One of the ways that I mentioned in my post above is affiliate marketing. Affiliate marketing is promoting someone else’s products or brands in exchange for a percent of the profit. There are lots of affiliate networks you can choose and apply as a blogger. For example, you use SiteGround for hosting your blog and you want to recommend it to your readers. You then need to apply as an affiliate partner. After you are approved, you have your own affiliate link that you can link throughout your blog post. When your readers click on it, it will take them to the site where they can make a purchase. If they purchase a product you make a cut off of their purchase. It is a way for you to make a little extra money on your blog and the company to get new customers! This is just a simple explanation about affiliate marketing, but if you want to learn more you can read my post on Beginners Guide to Affiliate Marketing. 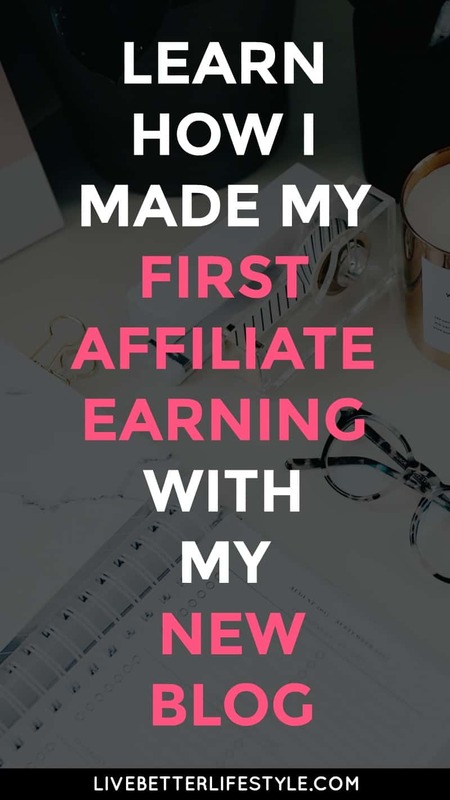 I have all the details about affiliate marketing for beginners in above post to learn the basics of affiliate marketing and what networks you can apply to earn money from my blog. After you already have some affiliate networks to work with, one important fact you will need to add is traffic to your blog. As you can see my traffic is not that big but still, it is important to have good traffic. 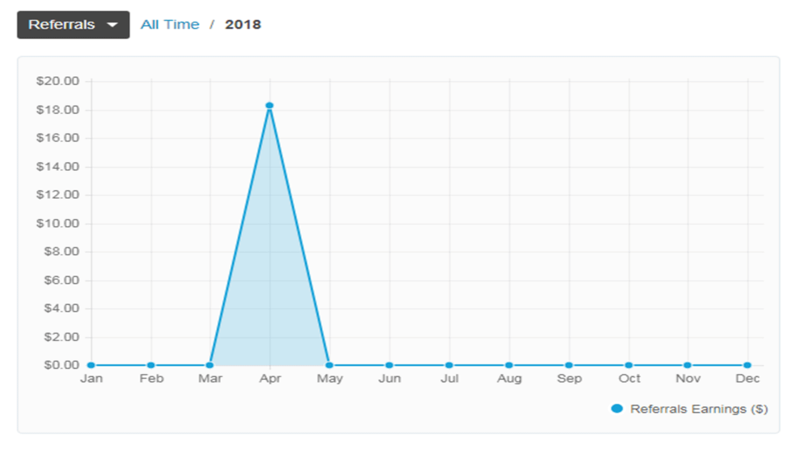 My first affiliate earnings is in April 2018 and this my traffic overview. I get 4,404 page views in a month and yet I earn income from it. Not bad, right? My point is traffic plays an important part but it is not the only factor to help you earn income from your blog. Another factor you need to pay attention is your content and how to apply affiliate marketing on each of your blog posts. Which I will reveal in a moment. Even though my traffic is not that big, I am more than happy that all my hard work is paying off because driving traffic to your new blog is not that easy. There are some bloggers out there still struggling to get decent traffic to their new blog and I am one of them. The best way to drive traffic to your new blog is by using Pinterest. It is one of my biggest traffic source to my blog. 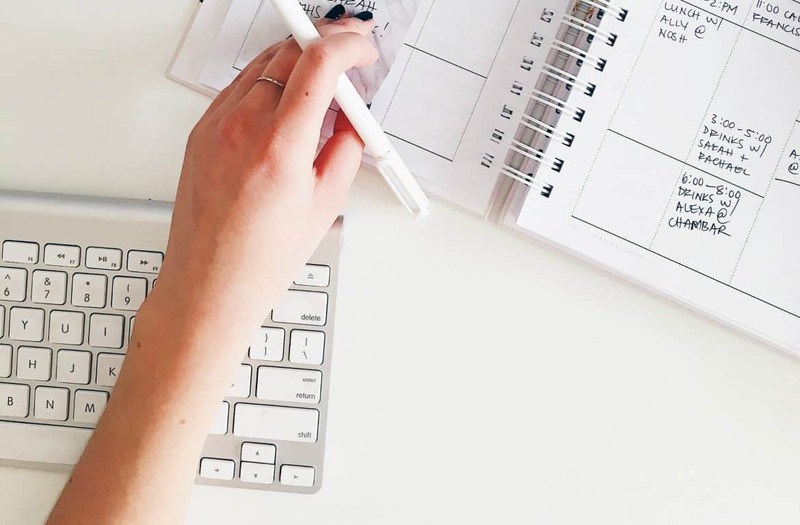 Since you need to use Pinterest so it can drive traffic to your blog regularly, you need to use a scheduling app to help you with that. Why using a scheduling app? Maybe you think I can do manual pinning instead. Believe me, I tried that and I failed. Pinning and creating content at the same time every day has given me big stress especially if you are a newbie and you want to create 2-3 contents every day. It will overwhelm you. My favorite and highly recommend scheduling app are Tailwind. Tailwind, from my point of view, is great to do a bulk pinning to group boards with one pin image. If you like to do a more detail pinning strategy for each of your pins then Tailwind is for you. One great thing from tailwind also is their Tribes. I love how I can choose what pin I want to schedule from the Tribes which makes me easier to find good pins for my personal Pinterest boards. For the price of $9,99/ month (billed annually), you’ll get unlimited pin scheduling per month. If you are not sure Tailwind is for you or not, you can start a trial and schedule up to 100 pins on Pinterest, and 30 posts on Instagram for free before deciding. You can check out Tailwind here. Now it is time for you to learn how to earn your first affiliate earnings with a small traffic. 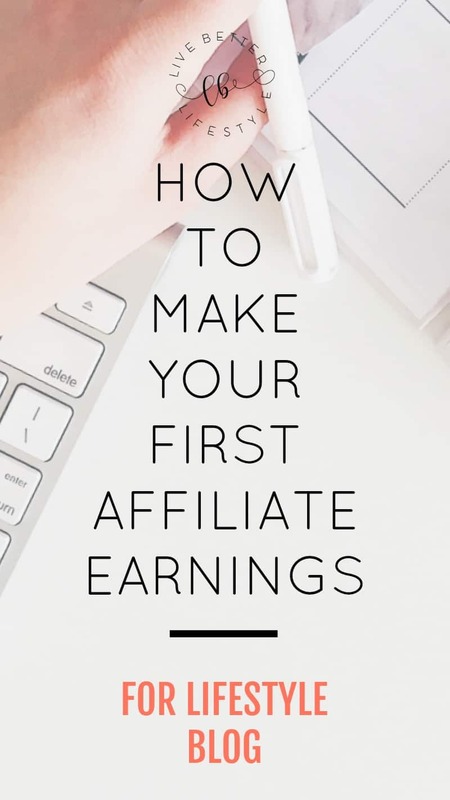 What You Need To Do To Earn Your First Affiliate Earnings. Before we get into more of that, I want to show you one proof of my affiliate earnings. This is my first earning on Envato Market account. I earned $18 by referring Envato Market to one of my readers in April. I applied as an affiliate partner on January 2018 and it’s now that I get to earn money out of it. This is why it is important to apply affiliate marketing from Day 1 because you won’t know when you will earn money. This is the part where I tell you what strategy I used in order to get affiliate earnings. Before taking a course, I thought I can learn affiliate marketing by myself and do some research on it. But I ended up with headaches because there are so many sources out there and I don’t know which one is good to follow. Then I came across to this course that’s popular at the time I decided to blog which is last year — I purchased this last year for my first blog but it’s failed and now I learn it again before I launched my blog this year. Yes, it is Making Sense With Affiliate Marketing. Now, since I know it is not a small investment for me to take, I read some reviews before taking it and in the end decided to purchase this course. It was the best investment that I purchased and highly recommended. The creator of this course, Michelle has made more than $100.000 in one month with affiliate marketing. And now the course itself has helped me earn my first affiliate earnings with a small traffic! Crazy, right? This course not only full of basic information about affiliate marketing but also gave me ideas on what strategies I need to apply to my blog. Read my full Honest Review of Making Sense of Affiliate Marketing to know more about this course from my personal view or you can learn more about the course itself, right over HERE. The Additional Thing I Did That You Can Apply To Your Blog Too. What I did is to simply promote the brands or products OVER AND OVER AGAIN. Have you realized that when you promote the same brands or products over and over again, you give an impact to your readers that you believe in it and you are indeed their representative. And as you make bonds with your readers, your readers will finally believe what you said and want to try what you have tried. Find some brands or products to begin with and promote it all over your blog. That way, your readers will notice that you believe in this brands or products and they would want to purchase it from your blog. I take the example I told you before. I love SiteGround and I highly recommend them, what I did is to promote SiteGround and spread it throughout all of my blogging related posts so my readers will know that I love it and it is recommended. Most important is that you gave it a try and you loved it! Choose only some networks to begin with and start spreading throughout your blog posts. Drive traffic to your blog and wait for the magic to happen! That is what I exactly did. No need to oversell it but instead you need to talk about it more often in your blog posts. My blog is the living proof that I can make money blogging but is not supposed to be your main goal. I’m just going to drop a real bomb right now. You can not expect the same results as other bloggers out there. What’s important is that you enjoy the process of building and growing your blog. That way you can achieve the results you want because you always want to improve your blog all the time. Let me know your story! How do you make your first income and what method you use?